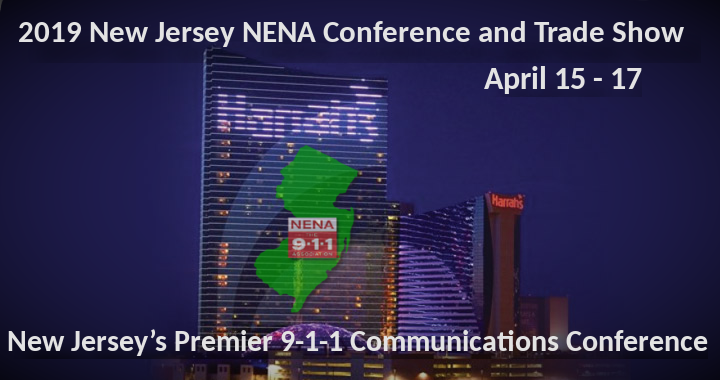 The New Jersey Chapter of the National Emergency Number Association is New Jersey’s premier conference on 911 and emergency response. The conference will once again be at Harrah’s Resort in Atlantic City. We are offering a discount for registrants. All NENA members will receive a $50 discount at time of registration. Register soon as this conference will fill up fast. In this course, participants identify and discuss common problem areas that Telecommunicators experience in the performance of their duties. Students will learn tips and tools that help identify and correct problems to ensure you and your team members succeed. whether it’s in-the-moment issues like freezing up when CAD doesn’t work or when addresses do not validate, or systemic issues such as failure to follow protocols or errors resulting from inflexible QA questions, you’ll get the training resources you need to get (and keep) your call takers performing at their very best. Conference Agenda: We will update the sessions as they are added. Sessions, times and Speakers have a possibility of changing. Call for papers: There are still a few open sessions…… Does your agency have a best practice or have you handled an unusual call? If so contact us to arrange a speaking session. If you are a vendor and would like to present on an issue or technology that will impact the delivery of 911 services we would love to hear from you.